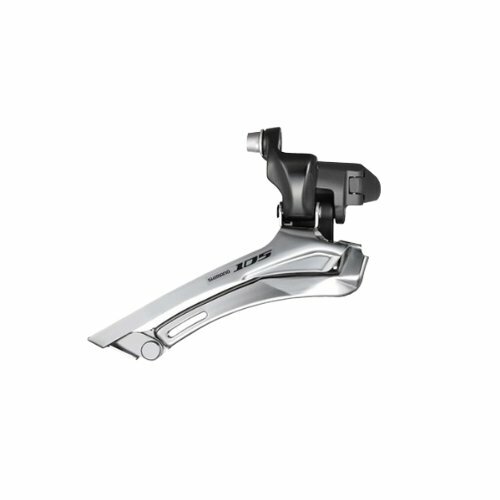 The new Shimano 105 5700 Front Derailleur provides even smoother shifting performance than before. It features dual SIS front index shifting, a wide inner link design and an improved chain guide shape that delivers smooth shifting at each rear position, even under heavy loads. Stiffer, wide inner link design with two pivots increases strength, rigidity and eliminates the need to manually trim the outer chainring - no more chain rub in the big-big combination!